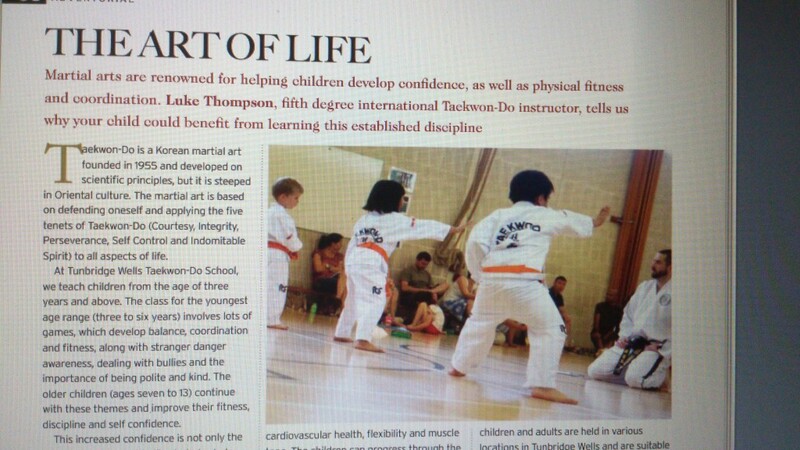 Tunbridge Wells TKD school has featured in the So Tunbridge Wells Magazine. It’s an article about the benefits of martial arts training for children. Check out the article on page 252. You can pick up a free copy of the glossy magazine at many shops, health clubs and coffee shops in the town or you can see the online version here. Or download a PDF here. This entry was posted in Uncategorized on 31/08/2013 by Mr T.